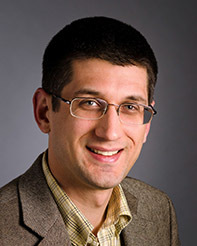 Eric Wiedner is an organometallic chemist focusing on the design of molecular catalysts for the interconversion of electrical energy and chemical fuels. He is currently a co-PI in a molecular catalysis program on carbon dioxide reduction, and in the Center for Molecular Electrocatalysis, an Energy Frontier Research Center. Dr. Wiedner's primary areas of expertise are catalyst design and synthesis, electrochemical methods for kinetic and mechanistic analysis, and thermochemical measurements of bond strengths. Co-recipient of the 2015 ACS Catalysis Lectureship for the Advancement of Catalytic Science, awarded to the PNNL hydrogen catalysis team.